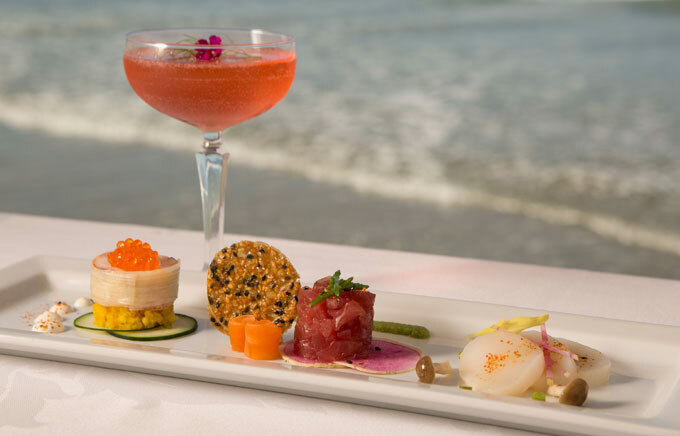 Embark on a culinary adventure featuring seafood creations made with globally-influenced flavors, and enjoy an elegant fine dining experience at our La Jolla restaurant on the surf. Take part in an over 75-year tradition and join fellow San Diegans, visitors, celebrities, and world figures in dining at eye-level to dramatic waves on La Jolla Shores. 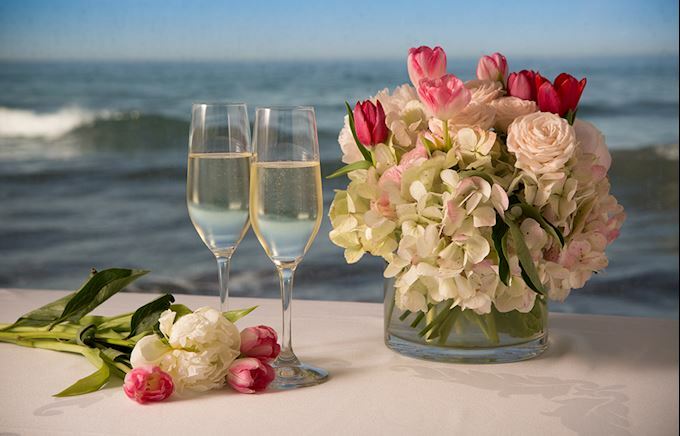 Dine at high tide for captivating views, or host a celebratory dinner for a memorable affair. Since 1941, the iconic "Seahorse" symbol has become synonymous with impeccable cuisine, served in front of a panoramic window with ocean, cove, and sunset views. During this time, The Marine Room has earned countless accolades and awards, including Open Table's 100 Most Scenic Restaurants in America and San Diego Magazine's Most Romantic Restaurant and Best Chef. Relax in our oceanfront lounge during Happy Hour from 4 to 6 p.m. Sunday through Friday. Enjoy our daily cocktail and select wines for $9 each. Plus, sample our newest appetizers including our Goat Cheese Puffs and Meli Melo Forest Mushroom Cocotte. Show Mom how much she means with an unforgettable meal on her special day! À la carte menu highlights include Line Caught Alaskan Halibut, Red Walnut Roasted Rack of Lamb and desserts such as Rum Chata Crème Brûlée. 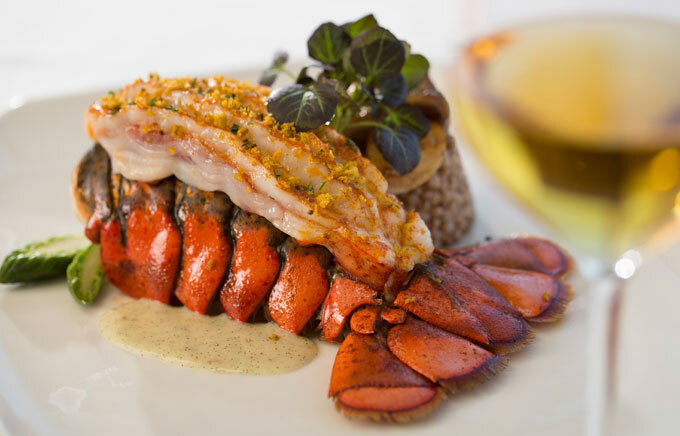 Savor a three-course lobster dinner each Monday evening and feast on one of our signature appetizers along with your choice of Maine Lobster dishes including Pistachio Crusted, Dill Pollen Butter Basted, and Sesame Ginger Glazed, with a "Trilogy" dessert. Celebrate with us for a family milestone, wedding, or just a friendly get together and create an unforgettable affair in San Diego. 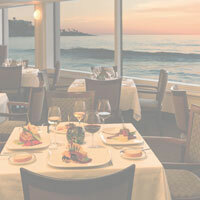 Take part in an over 75-year tradition of fine dining with a front-row seat to the crashing waves and sunsets over the Pacific.